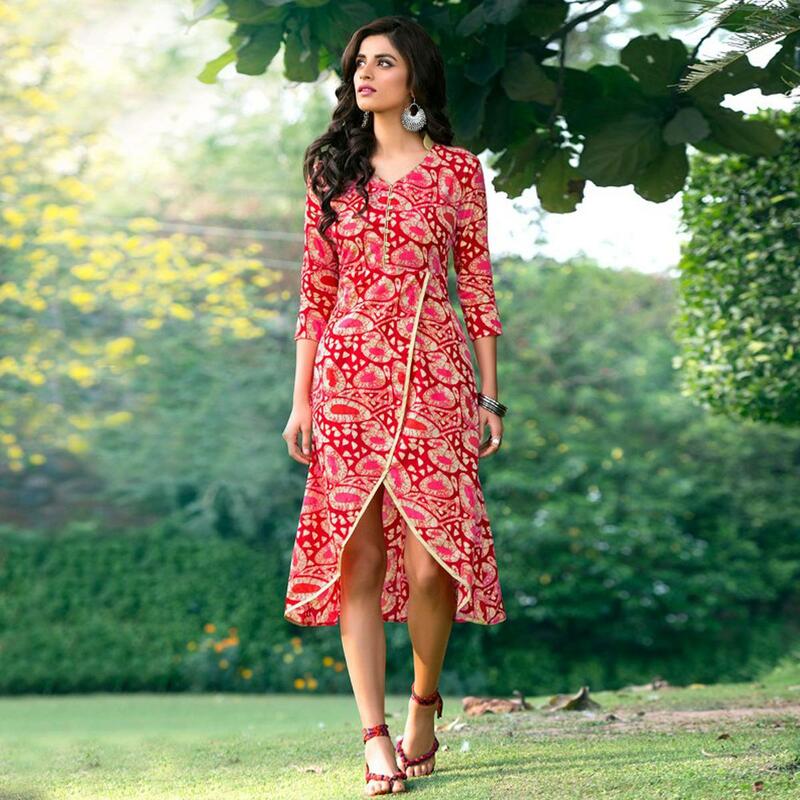 Featuring red color cotton fabric layered kurti highlighted with digital prints in contrast color which makes the attire look more classy. 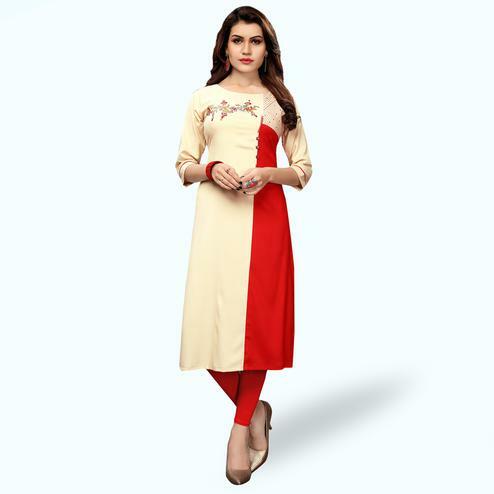 This ready to wear outfit is perfect to wear for parties and events. Pair it with matching accessories to make your look more beautiful.